Jonathan & Anais from Guyana, a country in South America, came to Japan for their honeymoon. They decided to take photos at Arashiyama. Arashiyama in November is very beautiful, but also crowded with many of tourists. 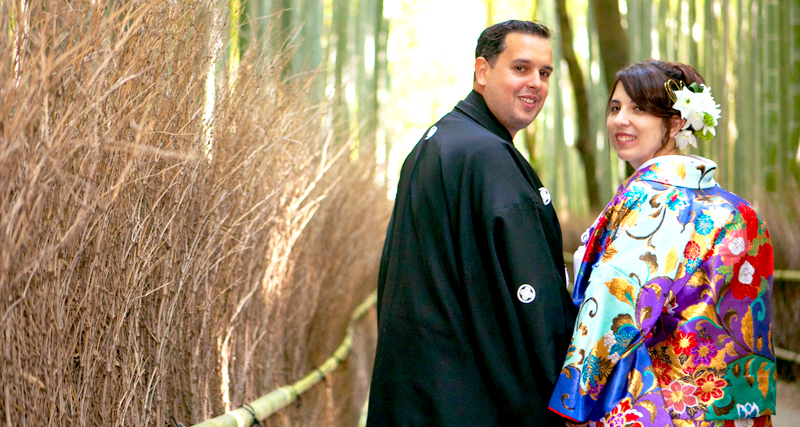 Because Jonathan & Anais looked so wonderful wearing Kimono a lot of tourists wanted to take photos with them. They took many beautiful photos at Arashiyama and were so kind and friendly the whole time. Congratulations on your wedding and hoping you have a new life together filled with smiles.